It’s a hot topic. 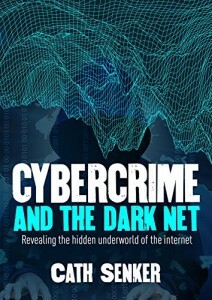 The Darknet is part of the Deep Web, the largest part of the Internet, which is not indexed by regular search engines. It’s where public databases are found, along with subscription-only and password-protected services, and the content of social networks and messaging sites. The Darknet can be accessed via the Tor browser and Tor Hidden Services allow you to find anonymously run websites. No one uses their real name on the Darknet. Neither cybercrime nor the Darknet are straightforward – they are a morass of contradictions and grey areas. Cybercriminal activity occurs on the surface net: harassment, copyright infringement, fraud, subversion, sabotage and terrorist propaganda. But although these actions are illegal, are some of them legitimate? Those who believe information should be free believe they are right to oppose copyright laws, while cyber subversion and sabotage can help topple authoritarian regimes – they were vital catalysts in the 2010–11 Arab uprisings. In this book, Cath examines some of these complexities.